It is true. Nurse burnout can impact your career. It can tear you down, make you tired and unhappy. Burnout can wreck relationships. Even cause you physical illness and emotional harm. Take a short trip with me down my own burnout story, if you will. Maybe, as you read my story… see if anything sounds familiar or if there is any part that you can identify with. 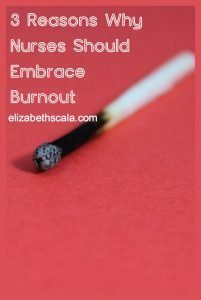 I was a nurse for just under five years when I hit my burnout wall. As a brand new nurse, fresh out of college, I wanted to do it all. I joined multiple committees, volunteered to precept new nurses. I stayed late for double shifts. I felt as though I was invincible- I could do it all! Boy was I wrong. That kind of superhero behavior landed me in burnout- and fast. I would come home from work, just to flop on the couch or yell at my boyfriend. I would cry a lot and rarely sleep through the night. I thought about work even when I was not at work. I was a mess! Fast forward through my nurse burnout and what do you get? A nurse who has come out on the other side. A nurse who LOVES her career- is even grateful she was encouraged to go into nursing in the first place! Maybe you cannot see it at the time. Maybe, if you are in the thick of burnout right now, you will not believe me when I tell you: burnout can actually be good for you. That is right. Notice I said it “can” be good. That is if we choose it. Here are the three steps to making nurse burnout work for you. You must identify the fact that you are experiencing nurse burnout. There is a difference between stress and burnout. Stress- you can bounce back from. It is that adrenaline that an ER nurse experiences when a trauma enters the department. The team pulls together through the high intensity and after the patient is stabilized, the energy levels return to normal. Stress is up and down. Burnout is down, down, and down some more. If you are experiencing exhaustion that just will not go away- you may be burning out. You must accept the fact that you are burned out. Many of us nurses want to be perfect. We never give up. We push on through, no matter what. If you are in nurse burnout- you have to accept that fact. That is right- accept it. It is OK. It happens to the best of us. In fact, to be honest, it happens to most of us. Some of us even more than once! You must choose to do something about it. When you realize and accept that you are burnt out, you have a choice. You can choose to do something about it. Or you can wallow in the fact that you are burned out, playing the role of victim. That’s right- I said it. If you decide that you know you are burning out and do nothing about it- that is on you. No one else can take action for you. Burnout is Good for You. Sit down with a nurse that you admire- one you look up to. Ask them their burnout story. I am sure they will be happy to tell you about it. And, then they will go on to share how they came out the other side…. stronger and more passionate about nursing than ever! If we go through a painful time in our lives… let’s say we fail an exam. Well, what happens next? We certainly do not want to do that again, right! If we fail a test, we learn to do something different the next time. We may study in a different way. Take notes during class with more attention. Get a good night’s rest before the big day. We certainly will not do the same thing we did the last time- because what would that leave us with? Another failing grade! Same thing with burnout. Go through it once and learn to do things differently in your nursing career in the future. As I stated above, if you ask your mentor about his or her burnout story, he or she will be happy to share it with you. 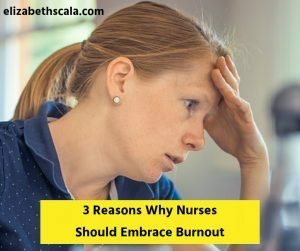 In fact there are thousands of nurses opening and running businesses to help other nurses with burnout. Nurses become coaches to teach other nurses about self-care. 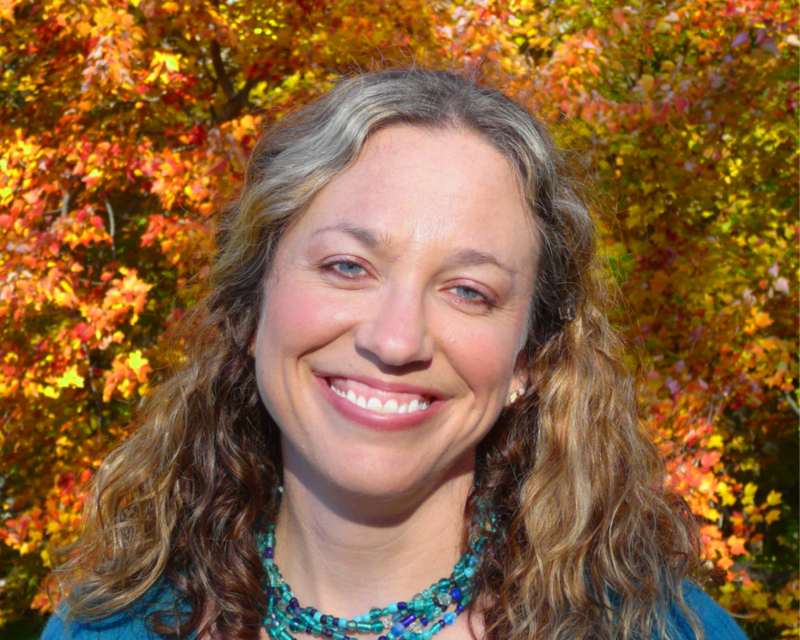 Nurses write books about resilience and career enjoyment. Nurses give talks on burnout and how to prevent it. 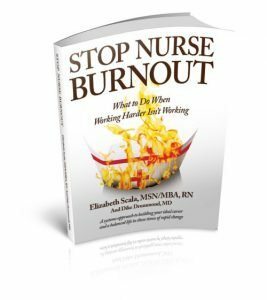 I have dedicated my entire business to helping other nurses stop nurse burnout. If you go through burnout- you can help newer nurses by teaching them about your lessons learned. Another reason we may find ourselves in burnout is because we are no longer doing what we love. Day in and day out we go to our jobs as nurses, but we are just performing the motions without the OOMPH energy. There is no more pizzazz. The joy is gone. When we go through burnout, we realize we need to make changes in our lives. Many of them. And one may be to find that ideal nursing career that is going to spark our enthusiasm again. I hear it a lot as I travel the country, teaching nurses about burnout: that nurses love the profession, but have fallen out of love with their job. Experiencing burnout can help you get back to what you really want to do as a nurse again! OK- I would love to hear from you. What would you add to this post? Have you experienced burnout, and if so, how did it help your nursing career? What would you share with other readers to teach them how to embrace burnout? Share a comment below and thanks for reading! I became more involved in my Reiki practice, offering Treatment to patients families, other staff members. I also am semi retired now working casual status on the CICU I worked on for 30 years. I was going to retire completely but My Reiki practice and being in charge of a bereavement program has kept me there. Wonderful! Great to hear, thanks for sharing with the readers. Burnout along with the challenges of raising a daughter with autism…pushed me to follow my heart and passion…advocating for disability rights. 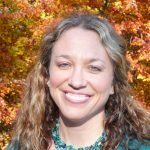 Overtime, I launched a nonprofit,created a website (www.ExceptionalNurse.com) and blog and wrote three books about nurses and nursing students with disabilities. And, as they say the rest is history! Well, there you go, Donna. You certainly made the best use of burnout. Thanks for sharing how it has impacted your career in several positive ways! It took me a long time to realize that I was burned out. I think there might be stages in which burn out progresses – I believe that it starts with a feeling of being overwhelmed and gradually progress to full blown burnout. The progression is subtle and it can hit you before you even realize it. We don’t always realize that we are headed in this downward direction. This is what happened to me, before I knew it – I was totally burnt! I had to do a lot of soul searching and learn that I couldn’t be everything to everyone. I stopped feeling guilty when I couldn’t meet someone else’s needs and began practicing more self care. Thanks, Sarah. Appreciate you sharing your experiences honestly. I do agree that there can be subtle signs, as well as full blown burnout. I am hoping that posts like this warn people earlier and help them start looking for support sooner. Thanks for your comment! Thanks for sharing Elizabeth. I really could have used this a few years ago. It’s really timely and it puts a spin on it burnout. I think we get so caught up in the drama of day to day operations that we don’t even think to look at ourselves until it too late. Even though my audience is women in general, I’ll still share this with everyone because it’s relevant! Awesome to hear, Marcelletta. Thank you for your feedback and I appreciate you sharing! I agree, burn out helps you move forward if you are open to it. Take time for yourself and take care of yourselves. There are so many opportunities for all of us if we just open our eyes and look for them. Thanks Elizabeth for sharing and reminding us that WE are important. You got it, Anne! Thanks for your comments. Another great post! I have felt burnout at different times during my life and each time it has helped me to grow. It has helped me to re-evaluate and to release things that were adding to my burnout. Over the years I have recognized how I was contributing to my own burnout because of my own worthiness issues of wanting to be seen as the super nurse. No more. I now only do things that I are in alignment with what I WANT to do and how I want to BE. It’s an entirely different energy of peace and ease and it feels good. You make a great point- Cassandra. Sometimes we are actually contributing to burnout! We say “yes” all of the time. Want to be/do it all. It is OK to take a break. And a REALLY strong (super woman nurse) knows this. Thanks for sharing your insights! Love this article! It’s so true! It propelled me into my passion as. Coach for Nurse Entrepreneurs ! Great to hear, Michelle! Thanks! !